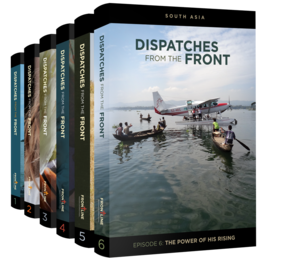 I recently viewed two episodes of “Dispatches from the Front,” a DVD series produced by Frontline Missions and thought they were excellent. These documentaries show our brothers and sisters in Christ at work in remote and dangerous places of the world. “…you will be my witnesses in Jerusalem and in all Judea and Samaria, and to the end of the earth” (Acts 1:8). John G. Paton (1824-1907) served as a missionary in the South Pacific’s New Hebrides islands. As a successful young Scottish preacher, Paton determined to leave Glasgow to minister to this unreached people group. But most of his Christian friends urged him to do something more sensible with his life. The heart of missions, when we get down to it, is God’s heart for lost people. It’s the Gospel, the Good News of Christ’s completed work for us through His death on the cross and His resurrection. And it’s not just for people who look like us, speak like us, or live near us. It’s for everyone. Many years ago I read Peace Child by Don Richardson. This great missions story had a strong impact on my life, demonstrating the power of the gospel in a primitive culture.